"There is a reason this is one of our bestselling, longest-running packs: it’s got everything you need, and nothing you don’t. The M.U.L.E. has a narrow-gauge design that keeps it light and maneuverable—so even when it is fully loaded for a day of mountain biking, it won’t get in your way. 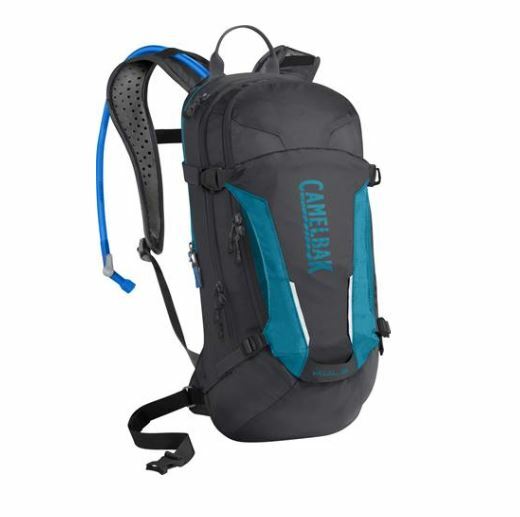 The latest edition is built around the brand new Crux reservoir, which is even easier to load and refill, and delivers more water with every sip. Since we launched the first M.U.L.E. in 1996, mountain bikers have been telling us that it hits the sweet spot of size vs. storage: it is lightweight, but big enough to carry three liters of water and a day’s worth of snacks and gear. Over the years, we’ve also added air channels to keep your back cool, universal helmet hooks, and clever compartments for stashing tools, keys and electronics. The latest version also features a magnetic tube trap that snaps easily into place, so you can hydrate without taking your eyes off the trail. Number of exterior pockets: 5"